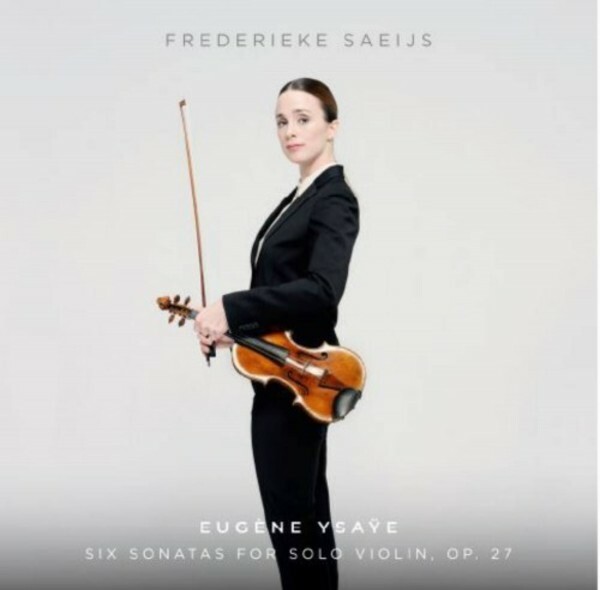 Frederieke Saeijs’ Linn debut sees the Dutch violinist realize a lifelong ambition to put her personal stamp on Ysaÿe’s homage to her chosen instrument and its celebrated virtuosos. With inspiration drawn from the great violin masters, Ysaÿe’s Op.27 has in turn inspired many violinists to transcend technical boundaries and claim their own position among the greats. Overflowing with poetry and imagination, Ysaÿe’s sonatas balance thrilling pyrotechnics with lyrical expression, emotional challenges with ferocious technique. In a career-defining recording, Saeijs delivers a wholly immersive performance full of colour and flair. Utilising a broad palette of tones and dynamics, Saeijs’ powerful emotional narrative captures the distinct characterisation of each dedicatee: Joseph Szigeti, Jacques Thibaud, Georges Enesco, Fritz Kreisler, Mathieu Crickboom and Manuel Quiroga. Saeijs performs on her beloved Guarneri violin, which is named after Queen Elisabeth of Belgium ‘Ex Reine Elisabeth’, who herself played the violin and was taught by Ysaÿe. Dutch violinist Frederieke Saeijs drew international attention after winning the 2005 Long-Thibaud International Violin Competition in Paris which led to concert invitations from all over the world. Concert tours have brought Saeijs to North and South America, Asia, the Middle East, and many countries in Europe. Saeijs has performed live for Radio France in Montpellier and Paris, for Radio Suisse Romande in Switzerland and for Radio 4 in The Netherlands.